This bright and fun Santa chocolate bar will certainly make any little ones Christmas this year. 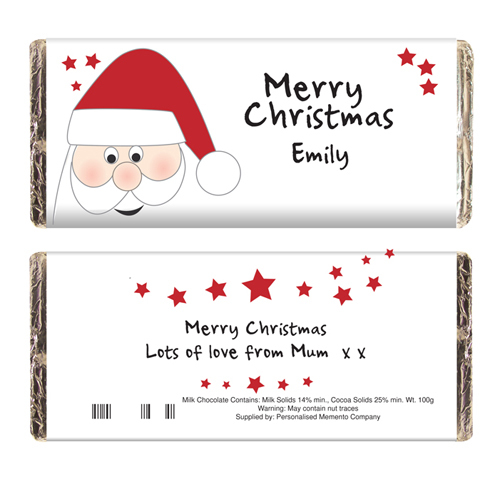 The bar features a very jolly Santa on the front which you can personalise with a name and also any message on the reverse, over 2 lines and up to 25 characters per line. The wording 'Merry Christmas' is fixed text. Personalise with a name and also any message on the reverse, over 2 lines and up to 25 characters per line.